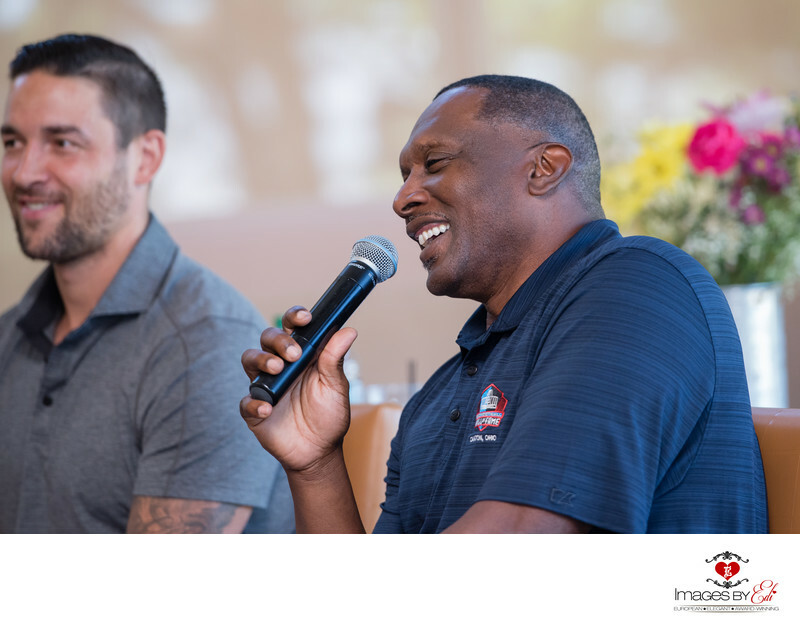 Tim Brown, Pro Football Hall of Fame and Deryk Engelland, VGK defenseman and alternate captain at Vegas Golden Knights hockey team were the guest speakers at a Cox Media event in Las Vegas. They are both very down to earth people with great stories to share. I feel really honored to photograph both of them them and hear their stories. Location: 1700 Village Center Cir, Las Vegas, NV 89134.